Few know that, in addition to being one of Native America’s most beloved and acclaimed jewelers, Charles Loloma (Hopi) also created beautiful pen and ink drawings of landscapes, textiles and corn, among other inspirations. The exhibit will offer fresh insights into the talents of this leading Native artist. Loloma’s drawings echo his design esthetic for his jewelry, both of which referenced the contours of his Hopi homeland. Also, as a Hopi man, Loloma also was well acquainted with the weaving art that forms an important part of traditional dress and ceremony. Loloma jewelry and pottery, Hopi textiles and katsina carvings will be included to add diversity and fully develop the theme of the drawings. Streuver, Martha Hopkins, Loloma: Beauty is His Name. Hardcover: $75, paperback: $45. Nequatewa, Verma, Visions of Sonwai, $85. Click here for a bibliography of materials relating to the Loloma exhibit found at the Heard Museum Billie Jane Baguley Library & Archives. 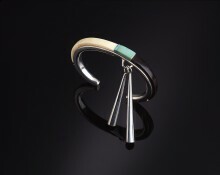 Bracelet, 1966, fossilized ivory, wood, turquoise, silver. 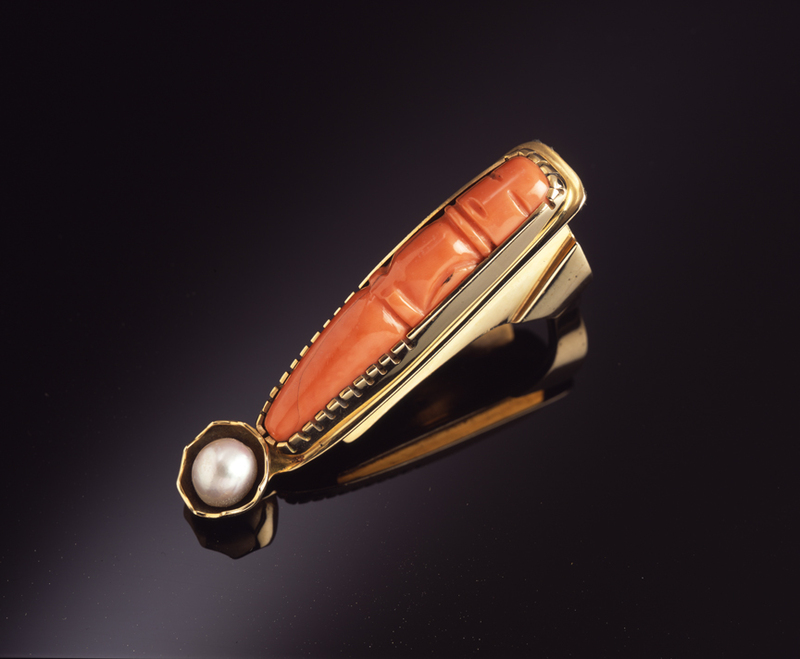 Gift of Hal and Margaret Gates, 4782-1. Ring, 1975-1976, coral, pearl, 14-k gold. Gift of Dennis and Janis Lyon, 3540-1. 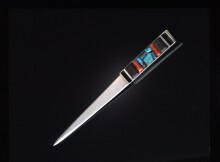 Letter opener, 1959, turquoise, coral, wood, silver. Bequest of Edward Jacobson, 4411-2.